Lincoln Safe Agent Week May 2017 | Belvoir! This May, 3,000 professional lettings agents across the UK will unite for SAFEagent Awareness Week 15-19 May 2017 – continuing to highlight to consumers the importance of choosing a professional agent who is part of a Client Money Protection (CMP) Scheme run by regulatory organisation. SAFEagent has campaigned for the last six years to protect consumers by ensuring all letting agents holding rent money and deposits must protect it in a CMP Scheme. Finally, in March, Government announced that it intends to make Client Money Protection (CMP) mandatory for all letting agents. 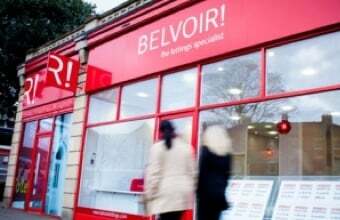 Belvoir Lincoln, a professional letting agent with CMP already in place, is reminding consumers that while this is great news, mandatory CMP is not yet law, and their finances are at risk if their chosen agent does not have client money protection. The market is huge, with an estimated £2.7 billion* held by letting agents in client accounts, but unfortunately there are still too many cases of criminal letting agents stealing landlord and tenant cash. This is why it is crucial that consumers check their agent is part of a professional body or trade association, which already provides CMP. “SAFEagents have campaigned hard for consumer protection – and the Government has finally taken on board our calls for all agents to be part of a Client Money Protection Scheme. Unfortunately, this law isn’t in place yet. If an agent were to steal landlord or tenant money without CMP in place there’s little chance of getting their money back. “Choosing a letting agent without CMP in place is a massive risk for both landlords and tenants. Who can afford to lose thousands of pounds? People need to choose their agent wisely by asking if they are part of a CMP scheme before entering into a contract with them. It can make all the difference”. Tenants and landlords / consumers should always look for the SAFEagent logo, an easily identifiable consumer mark denoting agents subscribed to a Client Money Protection (CMP) Scheme. SAFEagent – Safe Agent Fully Endorsed – is a reliable mark denoting firms that protect landlords and tenants money through Client Money Protection schemes. Set up ‘by the industry, for the industry’ and recognised by the Government, it is supported by Citizens Advice Bureau, The Property Ombudsman, Ombudsman Services:Property, My Deposits, TDS and DPS. All agents registered with SAFEagent are part of a Client Money Protection Scheme that reimburses consumers in the event of misappropriation of clients’ funds. There are several schemes in the sector operated by NALS, ARLA, NAEA and RICS to which agents voluntarily belong. The scope of these schemes varies and consumers should contact their agent for full details of the scheme of which they are a part. The SAFEagent Steering Group comprises: Northwood; Belvoir; Foxtons; Touchstone; Winkworth; Hunters, Spicerhaart, Sequence, Leaders and Savills.